The Mind Robber appeals to kids! and Tansy will be on Splendid Chaps! Doctor Who Magazine appeals to kids! tl;dr WARNING: Yes, this piece is long. No, I don’t care. It’s the finale, after all! I am full of squee, and I’m closing out this series with a bang! GALLIFREY!!!!! This is what I yelled (in my head, because I wasn’t watching it alone) right out of the gate. Way to scoop me up and get me stoked! I’m so glad I didn’t give in to my temptation to turn it off right there as I mentioned on the podcast. But I’ve already squeed about seeing the past Doctors with my beloved Clara, so I shouldn’t take up any more space here with that. And that’s a wrap for series 7. Join Deb, Erika, Liz, and Lynne as we discuss whether the season closer was everything we hoped it could be or left us feeling slightly uncomfortable. Were the fans properly serviced? Was the last climax really a climax? Was the “reward” video of Matt Smith and David Tennant really much of a reward? We cover all this and more. Series 8 is a thing! 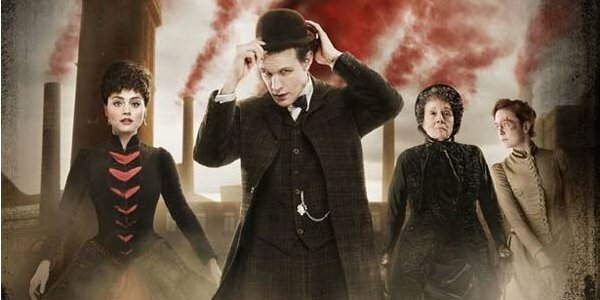 And Matt Smith will be in it! All the Doctor Who DVDs! Daemons action figure set available for pre-order! As I said on the podcast, I felt (and still feel) quite ambivalent about this story. It certainly winds up in the positive column, if for no other reason than I feel a happy glow when I think about watching it. Note that this glow is less glowy than the one that suffuses my soul when I think of something like “Hide.” Still though, glow. 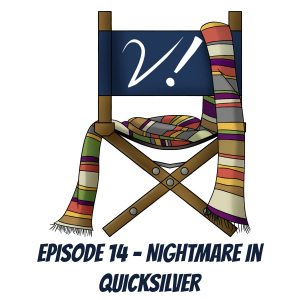 I did manage to get in most of what I thought about “Nightmare in Silver” on the podcast, but there were a few bits and bobs left over that I shall spill out here. 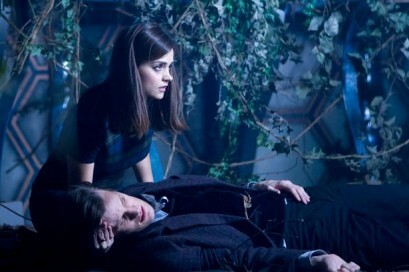 Most of it deals with Clara, so let’s get to that first, shall we? Click here to continue reading about Clara and all the rest! Neil Gaiman has returned to Doctor Who! Was it a triumph, a colossal failure, or something in between? 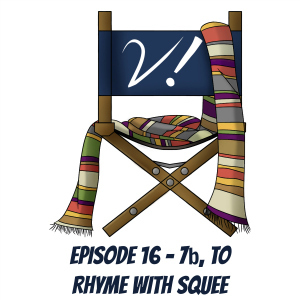 Join Deb, Erika, Kat, and Tansy as we discuss Mr. Gaiman’s sophomore Who effort. Were the Cyberman scarier or overpowered? Was the addition of children a bad idea or a wasted opportunity? Are cybermites cute? Or really cute? We tackle these questions and more. More than 30 Years in the TARDIS! and Queers Dig Time Lords! South Park Doctor Who fanfic: Unlocking South Park! 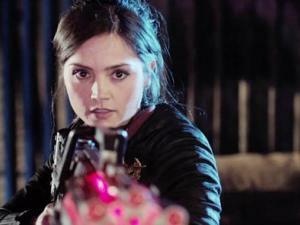 When I sat down to watch Doctor Who last week, I really wanted to like it. I always want to. 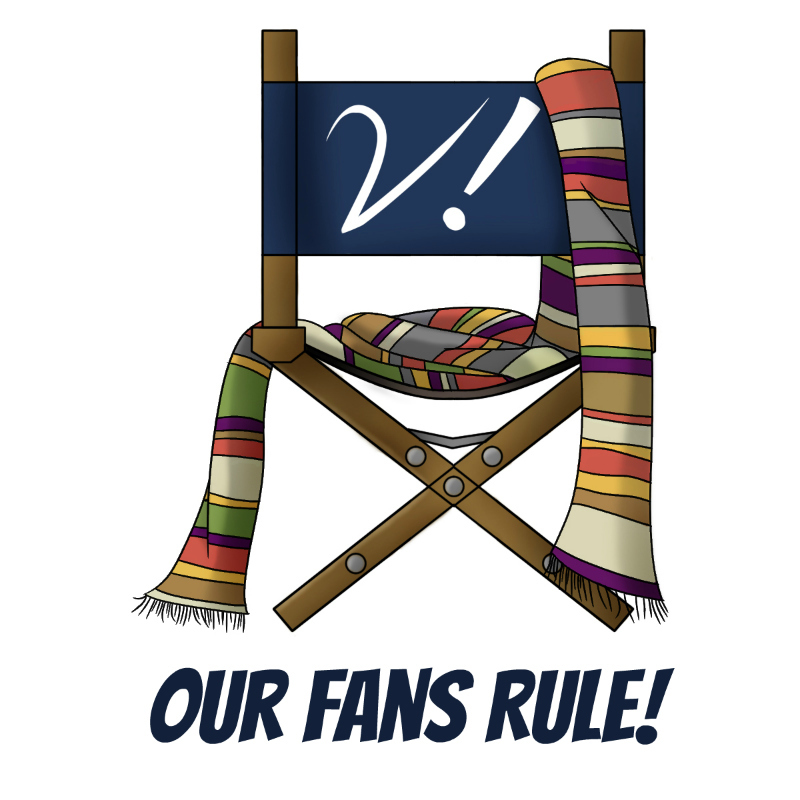 I’m most certainly not a “fan” who delights in picking apart every episode and finding things to complain about. I’d rather make a list of the bits I love. When I sat down to write this “Last Word” post, I wanted to focus on those happy bits. But as I looked over my notes and mulled over what I felt, I realized that would be disingenuous. Much as I hate to admit it, I sometimes just don’t like an episode of Doctor Who very much. Click here to read why. Saturday brought us Mark Gatiss’ sophomore series 7b story. Savvy? 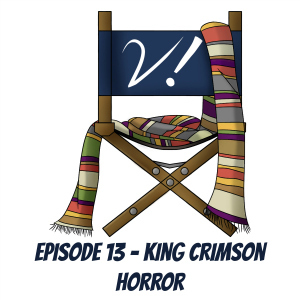 Join Deb, Erika, Liz, and Tansy as we cover “The Crimson Horror.” One of us really didn’t like it, and it may not be who you expect. See who thinks what about the Victorian trio. Find out who doesn’t know who The Wiggles are. Marvel that Erika bought a Doctor Who audio. And if you’re like Lynne when she’s not on the episode, yell at the recording for being so wrong! POSSIBLY SPOILERY 50th anniversary set photos! 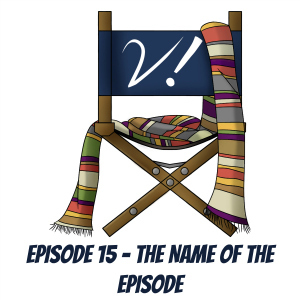 And TARDIS Tavern’s multi-Doctor (2-, 3-, 5-) podcasts! Peter Cushing on a “Great Britons” stamp! A Celebration of Doctor Who! And Doctor Who purchases: Deadline! and Running Through Corridors! Doctor Who, Project Who? BBC Audio!